Happy Day After Christmas!! and so how many of you are braving the mall again? or are you ready to get back to crafting? Well here's a quick reminder that All That Scraps Challenge is in its second week of their current challenge... Anything Goes!!! Sweet November Evie was on one of my gift card envelope this year. 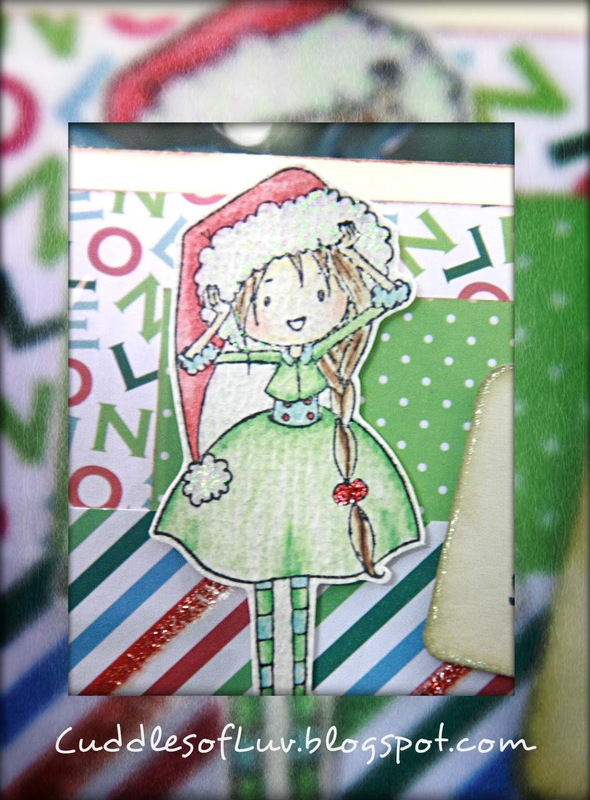 She colored on textured cardstock with some stickles to make her sparkle! 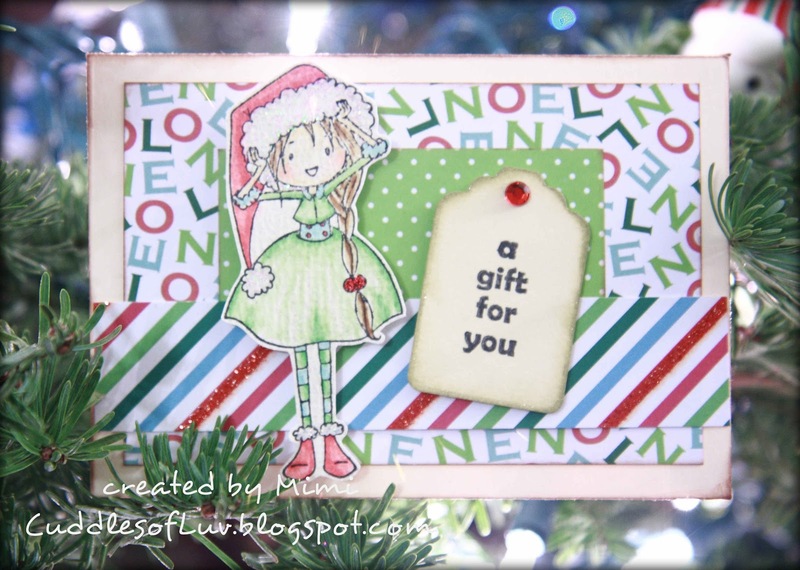 A small tag from a Recollection punch stamped with an Amy R's Winter sentiment. 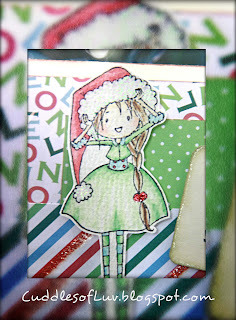 Again using up my xmas paper scraps, fussy cut Evie and popped her on! 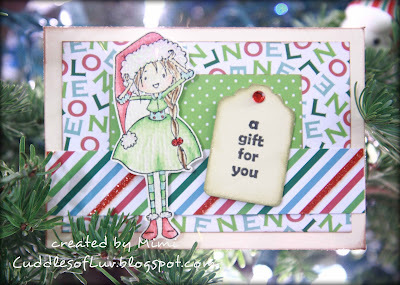 Head over to the All That Scraps Challenge blog to check out what my teammates have to share... all so sweet! Absolutely BEAUTIFUL creation. Love the image. Great JOB! Wishing you a super Happy New Year. Can you email me at midoridew@hotmail.com? Need to ask you a question... Thanks!